What does Iran need? Pretty much everything. Thirty years of sanctions and war have left the Iranian military with an arsenal of obsolescent weapons. The Iranians have done good work in a few areas, but the country simply lacks the size, technology, and market access to successfully develop an autarkic defense industry. 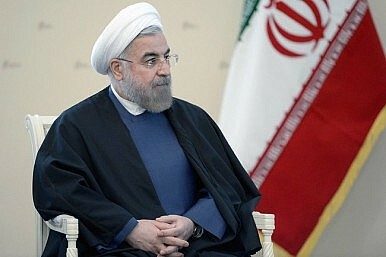 In the past, Iran has acquired weapons from both Russia and China (as well as the United States and others). We can expect this behavior to continue in the future. Iran offers one of the first, and potentially most important, battlegrounds in the emerging arms export competition between Moscow and Beijing. In the short term, Iran could invest in affordable aircraft like the JF-17, or low-end Flanker variants from either China or Russia. Both of these would represent a huge leap over current Iranian capabilities. In the longer term, depending on the price of oil and on how well the deal holds together, Iran could try to purchase aircraft on par with the most advanced acquisitions of Saudi Arabia and the Gulf States. Whether this would involve the PAK FA, the Chinese J-31, or advanced Flanker variants would depend on the progress of the former two programs. Although Iran has managed to cobble together a relatively impressive air defense network, it will require an infusion of new technology as soon as the embargo lifts. Russia, which has already agreed to export an S-300 surface-to-air missile system to Iran, has the upper leg. However, China also has respectable equipment in this field, and Iran may decide to go with a mix of Russian and Chinese systems (having experienced defense autarky, Iran has an interest in diversifying its supplier base). The most sensitive potential export to Iran may be cruise missiles. Iran has done well for itself in the past two decades regarding modernizing and upgrading its fleet of ballistic and cruise missiles. International restrictions on ballistic missile transfers probably mean that neither China nor Russia will want to take the risk of export. However, both countries have a history of selling advanced cruise missiles, and Iran may well want to sample their wares. Any export of this nature will prove deeply worrying to the United States, Israel, and the Gulf States. Iran has other needs, including modern ground combat vehicles, modern small naval vessels, and a host of support equipment. It bears noting that an Iran with access to the modern military-industrial complexes of both China and Russia may pose a greater threat to the region than an Iran with a few crude nuclear devices. However, tying Iran’s military strength to external powers (even China and Russia) will hopefully serve as some constraint on Iranian foreign policy. Which military technologies are the most difficult to master for would-be U.S. competitors?